Hello! 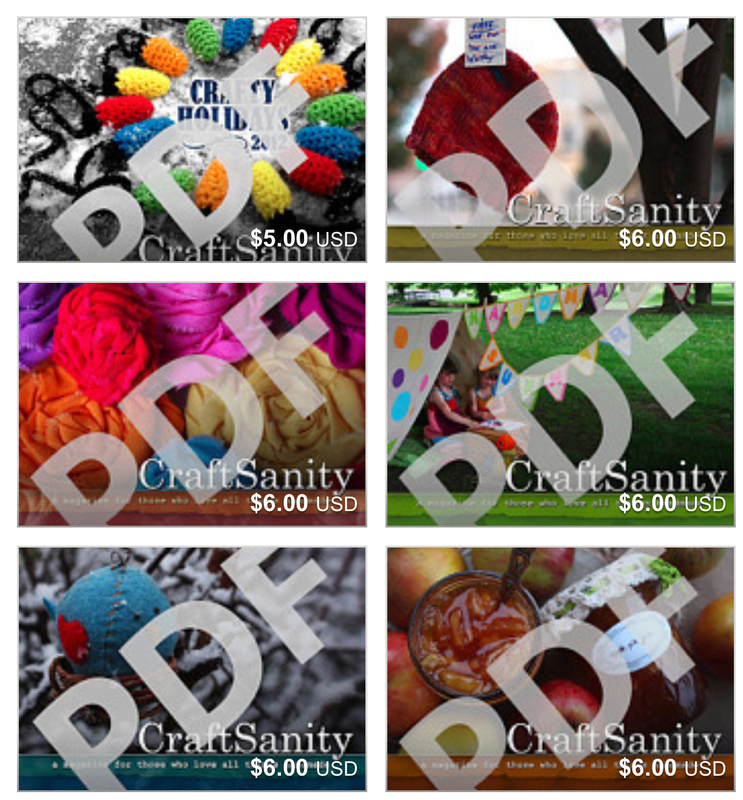 I’m popping in to let you know that I’m running a 25 percent off holiday sale on print and PDF editions of CraftSanity Magazine through Dec. 31 with the coupon code “sale2014.” The code works for my Etsy shop and for downloads purchased on the left side of this page. If you haven’t seen it, CraftSanity Magazine includes feature stories about artists and crafters, pattern and project instructions, recipes, paper dolls (see issues 1-4), Q&As and other fun stuff. When I created each issue, I tried to take a timeless approach so the contents would not expire and crafters would want to collect their copies. I think I was successful because refer back to these publications all the time myself. I keep a set of print copies on my shelf and all the PDFs on my iPad to guide my crafting and cooking. I want to clear out more back issues to make room for the forthcoming Issue 10 – the better-late-than-never issue, so I’m letting these go at a discount. Happy shopping! And thanks so much for your support. Have a wonderful holiday! I just like the helpful information you supply on your articles. I will bookmark your weblog and test once more here frequently. I’m slightly certain I will learn many new stuff right here! Best of luck for the next!